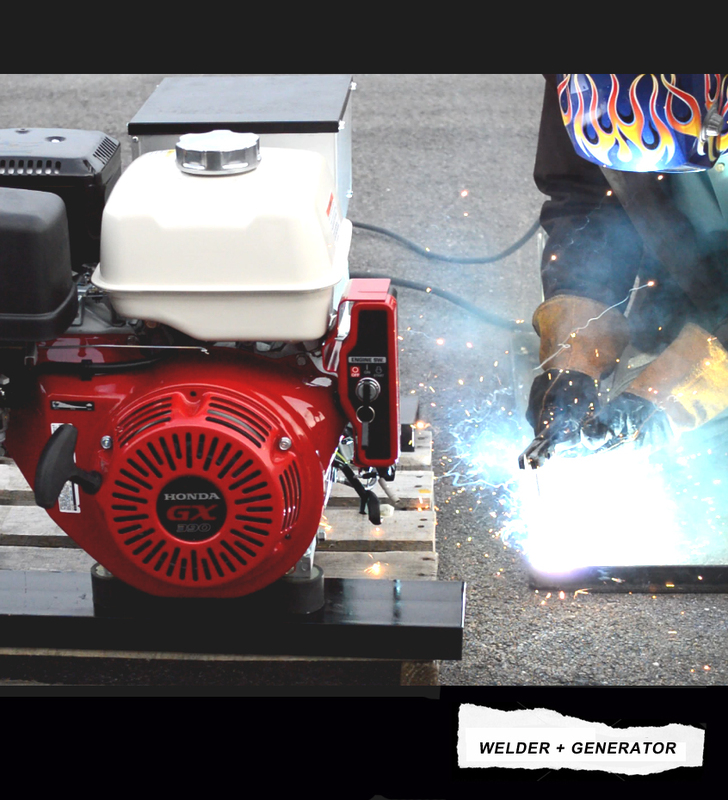 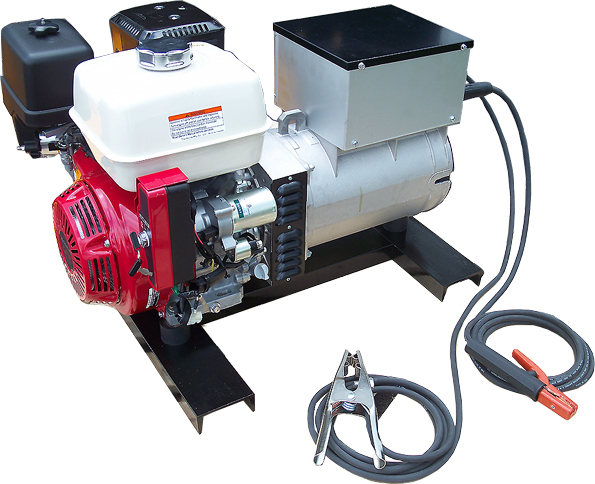 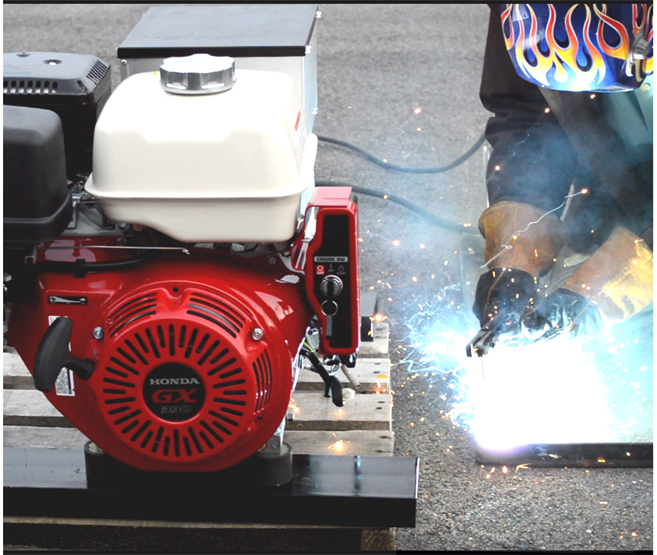 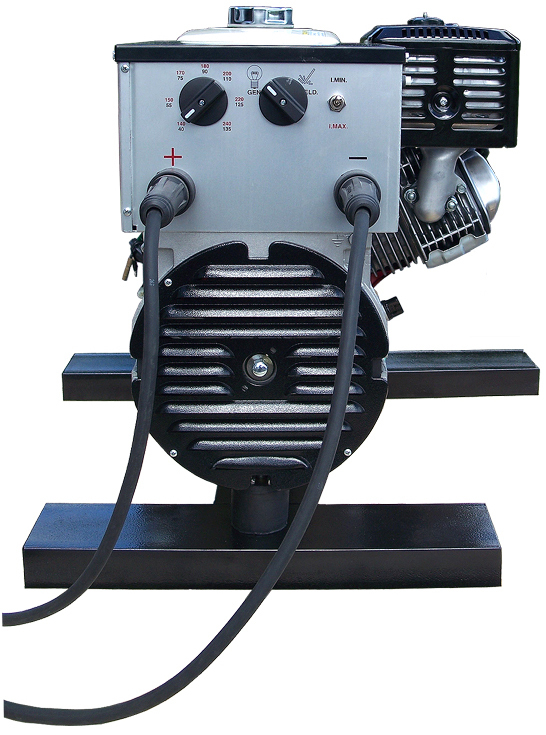 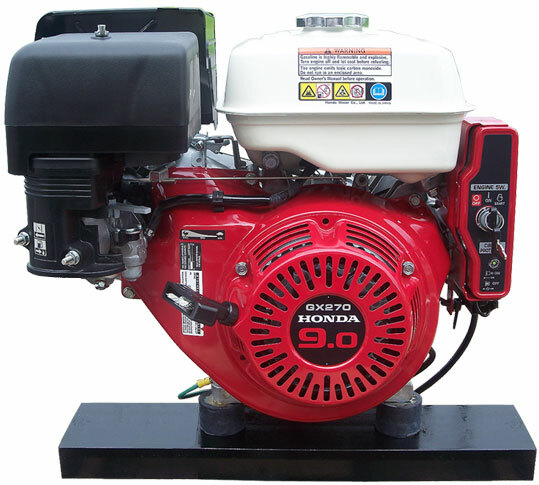 Honda Gas Engine Drive Welder + Generator - This welder's simple, compact design allows for easy installation in a variety of applications requiring a small footprint and can be anchored to your truck or trailer or operated free standing. 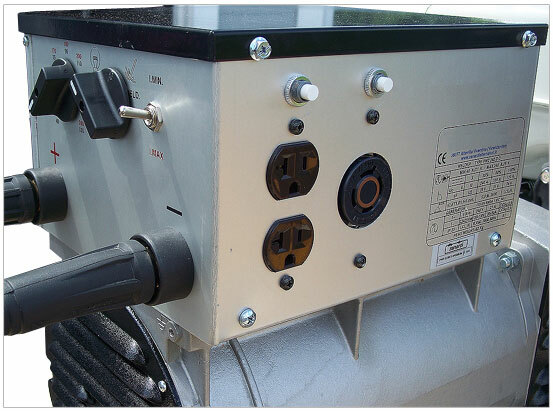 Weld 3/8" steel + 120/240 V AC output. 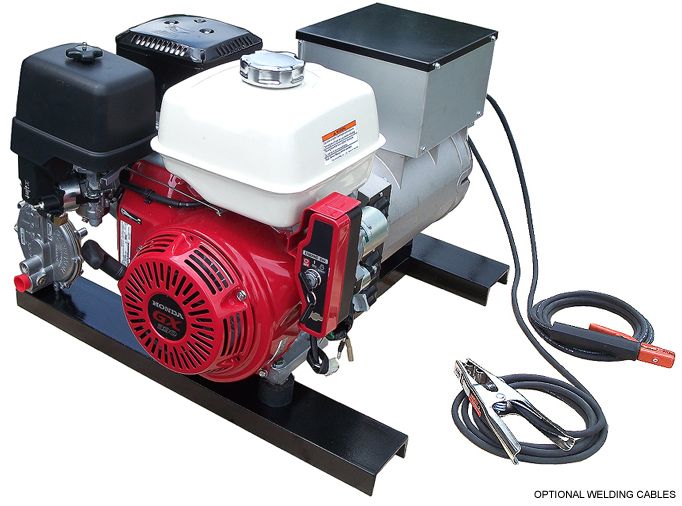 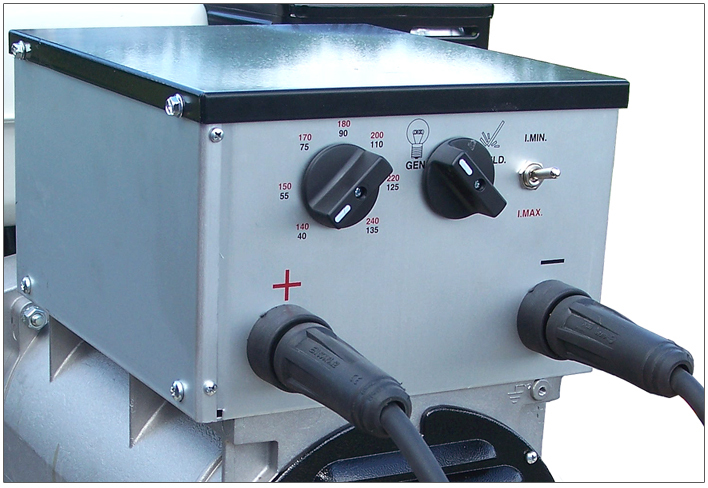 This unit features an 9 HP Honda GX 270 engine, brushless welder generator, muffler, oil pressure shutdown, large capacity automotive style air cleaner, amperage selector switch (40 - 200 amps), receptacle panel with 120 V and 240 V outlets, welded steel skid frame, vibration isolator mounts, battery cables, 2 year warranty and electric start.